Long before historians added “the Great” to his name, Alexander stated, “I would rather live a short life of glory than a long one of obscurity.” He certainly lived up to this ambition, conquering most of the known world in just 13 years before his death at age 33. Though undefeated in his lifetime, Alexander died unsatisfied--he always wanted more. 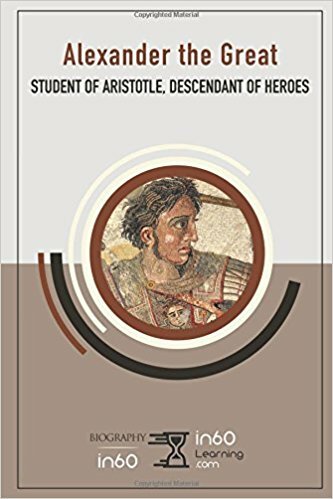 His ambitious personality comes as no surprise considering his upbringing: born to powerful parents, he studied under Aristotle and grew up believing himself a descendant of the Greek heroes Achilles and Heracles. His parents and tutors raised him to believe he had something to prove, and this book serves as an account of what he accomplished. Before I review the book, I have to mention the publisher. In60learning is providing many kindle and audible books which can be completed in 60 mins. These books are about historical events and biographies of famous personalities majorly. If you want to get updates about their new books, check this link. I chose Alexander's biography as Iam curious to learn about the person who expanded his kingdom from Greece to Asia in a very less time. I enjoyed reading this biography. In history, there are many versions written about Alexander and a few are exaggerated to a great extent. So, the author mentions the different versions and tries to clarify which version might be true. 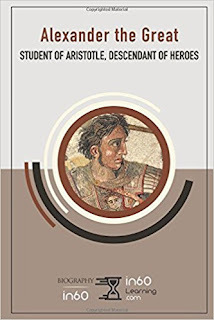 I felt, narration might have been more interesting but since this is a short book I enjoyed learning more about Alexander in a very less time. 1. He is an alcoholic and showed bouts of anger when drunk. 2. There is no love life at all or there is no influence of any woman on his life. 3. He lived only 33 years but conquered a lot of countries. 4. He is ethical but unmerciful also sometimes. 5. He respected women and never took any queens as wives when he defeated their kingdoms. PS: I have received this book from the author in exchange for a review and this is my honest opinion on the book. What a great idea to write a book that gives the whole story in a short time. Great review! Hey getting smarter in sixty minutes is a pretty awesome thing.